Fruit Pizza is a super easy treat. Step 1 - Press sugar cookie dough into a cookie sheet. I used my mom's Sugar Cookie Recipe. To make it even easier you could use store bought cookie dough. Step 2 - Bake. This took about 25 minutes. Cool. Step 3 - Frost. I use 8 oz. softened cream cheese, a 12 oz. tub of cool whip and 1/4 c. powdered sugar. Mix it all together and spread over cookie. Step 4 - Top with your favorite fruit. I used peaches and raspberries from our yard. 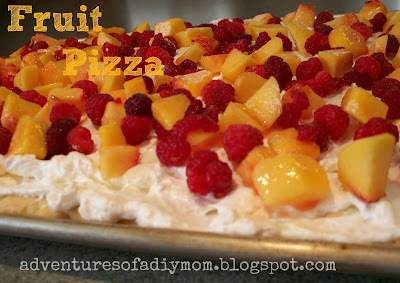 What fruit do you like on your pizza? Yummy! 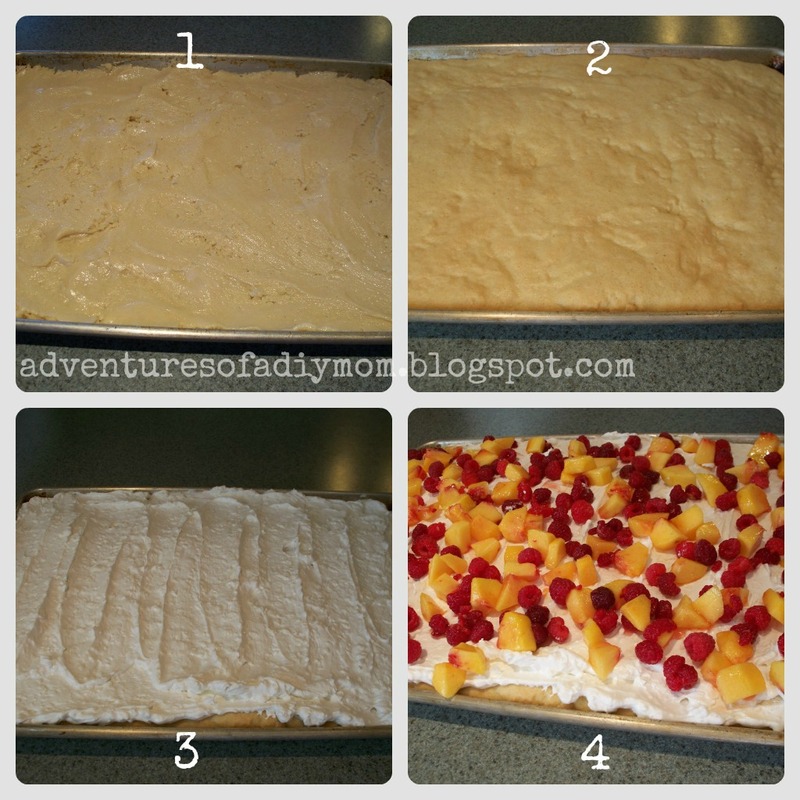 You should try this on a brownie base too, delish! I can't wait to try this version. I love fresh fruit in my dessert. Somehow it just seems like less calories, hehe. This is pin worthy thanks for sharing , new follower from the blog hop!